All cryptocurrency Wallets are used to keep public and private keys which are used to receive or spend your coins and tokens. They are almost like your physical wallet but they do not hold your digital coins per se, as that is a misconception of a crypto wallet. As mentioned, they only hold the keys. So, first let’s understand the difference between public and private keys. Public key cryptography is used to receive coins and tokens, or even encrypted messages on the blockchain. The public key address can be given to anyone who would like to send you coins, tokens or messages, in other words, it’s the address in which you will receive, just like your home address. 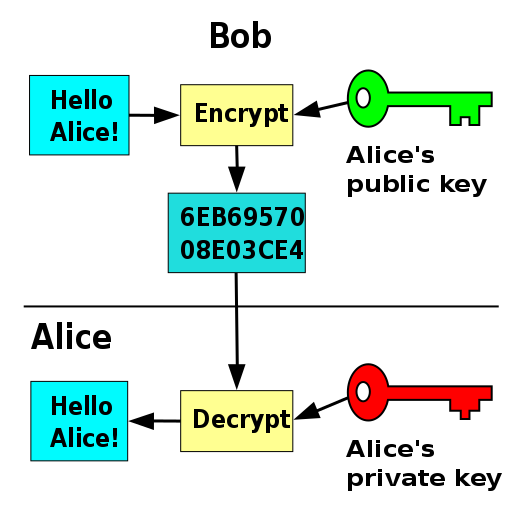 Private Key comes paired up with a public key, and is used to spend the money stored in a wallet. It unlocks what has been sent to you. It confirms the ownership of coins, wallet and of the public key in perspective. Private keys should never be shared; it belongs to the owner only. Now take a look at the image bellow. So, as you can see, the wallet carries the addresses: public key, private key and the QR Codes that carry the blockchain records that says such coin codes belongs to you and it gives you a balance of how much you own in those blockchain records. When someone sends you cryptos they are mainly signing off ownership of those coin codes and transferring them to you in the blockchain records. A cryptocurrency wallet is nothing like a bank, you are the only person responsible for your keys. In case you lose this information, it is lost forever, you lose access to your funds, because no one else holds your keys but you. So, with that said, it is very important how you choose to store your wallets information, a hacker cannot get to it unless it can get to your keys. HOT WALLETS AND COLD STORAGES: WHATS THE DIFFERENCE? Hot wallets (software) always connected to the internet and are FREE. Cold Storage (hardware) air-gapped, meaning not always connected to the internet, costs between 65–99$ USD. Most cryptocurrency holders hold most of their coins in a cold wallet because hackers cannot steal them without internet. So how safe are hot wallets? Developers have been working very hard to come up with very secure systems. Like double authentications, multi-signature, passphrases, and secret phrases. This assures for better security by making it practically impossible for hackers to hack into, because any movement in your account will require you to authenticate access. There has been exchanges that have been hacked before, which is why developers have learned from the past mistakes and created these new methods of safety as mentioned above. Only keep in your hot wallet the amount you need to transact (sell, buy, trade) on a daily basis, any unused amount should be saved in a cold storage. When you choose to keep it small in your hot wallets, you make it less attractive to hackers. There are several exchanges considered hot wallets with double authentication as 14Bit, SouthXchange, Stocks Exchange, and Simex. Also, many exchanges use Google Authenticator. Cryptocurrency exchanges will generate hot wallets for you, one for each transaction or market, helping you to buy and sell, all within their platform. An exchange usually offers a platform to help make your trading’s faster, easier and more secure within their infrastructure. They do not have control of your keys. There are also hot wallets not connected to any exchanges like MyEtherWallet mentioned above. • Hardware: most secure wallets, air-gapped, offline devices like Trezor and Ledger Nano S.
• Desktop wallets are downloaded on your computer to have it on your desktop like Etherwall. • Web or Online: wallets run on the cloud like MyEtherWallet or wallets within Exchange infrastructures like 14Bit and could be accessed from anywhere. • Mobile: usually with double-authentication and multi-sig runs on apps like Okane. • Paper wallet is a literal printout of your wallet with your public key, private key and QR Codes. As seen above with MyEtherWallet, you can print it out and keep it safe. Extremely secure and immune from hackers. All you need to worry about is where you choose to save this paper. Always familiarize yourself with the wallet of your choice before putting all your coins in it. Make sure it will perform according to your needs. Always back up your wallets to protect your coins against software failures, which will help you to restore in such cases. You can search google for a wallet backup according to the coins you would like to hold. Also, safety can never be too much when it comes to cryptos, so stay updatedwith whichever software you choose to use, because security is constantly renewing. Make sure to choose strong passwords. To summarize, most people who have digital currencies use both hot wallets and cold storages. Study your options and how you’d like to use your cryptos. Is it for daily use? Is it for Bitcoins? Winco? Ethers? Will my wallet of choice accept the coins and tokens I am planning on investing in? What do reviews say about it? Write down your prerequisites and search for the best options to serve and protect you. Our team works hard to bring you the best content in the cryptocurrency market, but it is only our point of view and not legal advice, and may be divergent from other opinions, so please do not make any decisions without concluding studies of your own to understand the profit possibilities and uncertainties involved at your own risk.